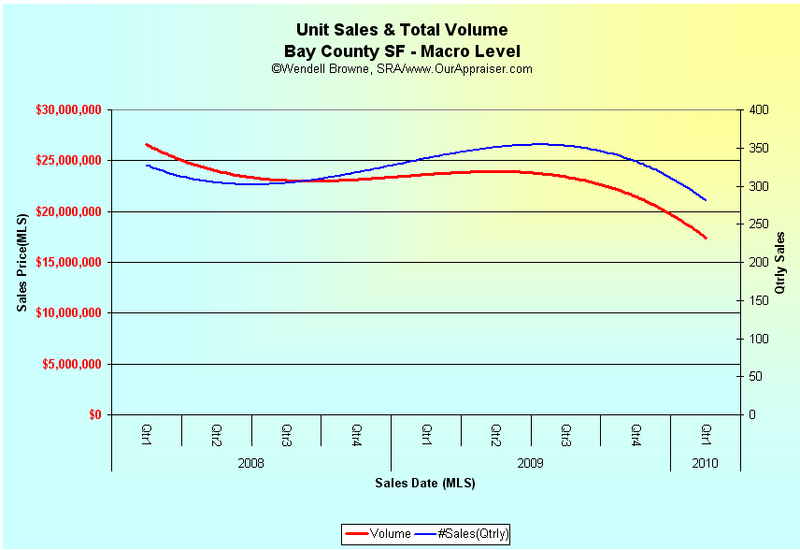 I’ve just wrapped up compiling and analyzing the 2010 1st quarter real estate trends for Bay County including the areas of Lynn Haven, Panama City Beach, Callaway, and other communities comprising our market. I was very interested in seeing what the data supported in respect to the $8,000 tax incentive for homebuyers. What have you seen in your market? 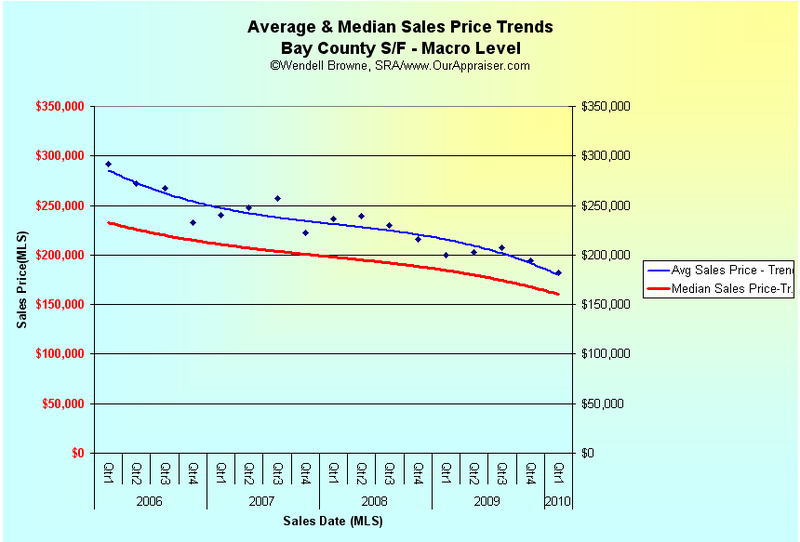 Any significant increases in unit sales, standing inventory reduction, or price correction? Frankly, from the data I’ve looked at, there has not been any substantial increase in sales contrasting pre incentive periods. 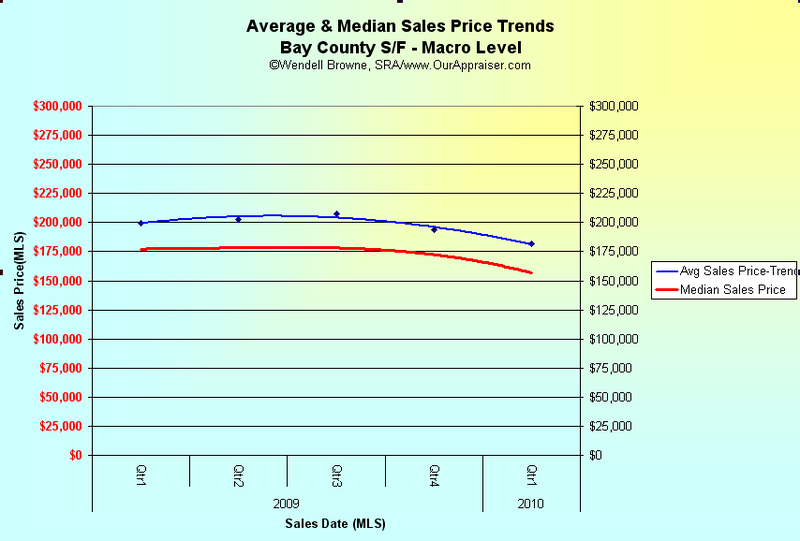 The median sales price for Bay County has continued to correct as well. Many of our market areas did experience an upswing in overall sales volume entering the 4th quarter of 09; although this increased volume have slowed down considerably since December. Below are some of my charts that will give you a visual picture of what’s taking place currently in addition to providing a ride through time in the marketplace. Let’s zoom in closer on the previous chart and look at the last 15 months of data.